Discover Your Body’s Primal Muscle That helps Reduce Pain, Promote Weight Loss, Enhance Your Strength Training And Increase Energy when it’s relaxed! 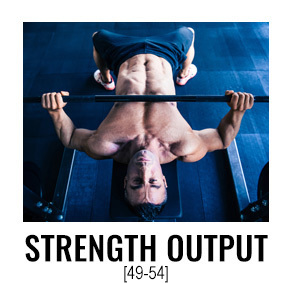 And learn how you can unlock its potential with a 10-minute sequence of specially formulated movements. If you train hard and eat well, it should be enough to keep you in good health and physically and emotionally strong. Yet, there is a muscle in your body that you might not be aware of. 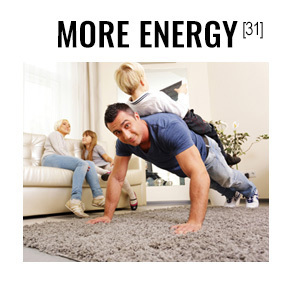 It affects you, no matter how active or sedentary you are, or how old or young you are. And if it’s not kept it good condition, it can affect not only our bodies, but our entire well-being. In fact, I believe that many common health conditions are caused by this muscle. Not being stretched enough, strange as that sounds. What is it? … it's tight hip flexors. 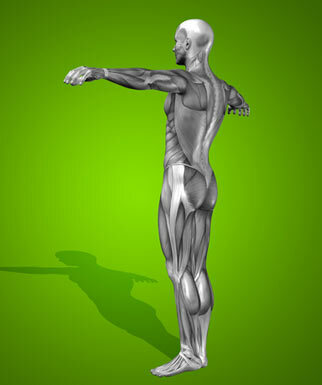 You see, our hip flexors are the engine through which our bodies move. They control balance, our ability to sit, stand, twist, reach, bend, walk and step. And when the hip flexors tighten it can lead to a host of problems, even in seemingly healthy and active individuals. Before I reveal how loads of people end up having tight hip flexors yet never realize it, let me introduce myself. 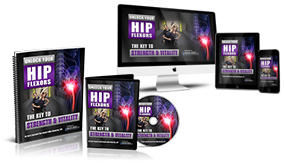 In a moment, I'll reveal to you a systematic, step-by-step program designed to loosen your hip flexors and unlock the hidden power in your body. Many people don’t realize that the root cause of some of their pain and other health problems might be tight hip flexors. The impact the hips have on the whole body never occurred to me until I saw the effect tight hip flexors had on the health and well-being of my wife after she gave birth. Many people suffer from tight or locked hip flexors, especially those who sit for hours each day, but few realize the impact on your whole body. They help to support the strength and health of your entire body. 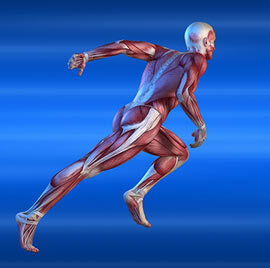 The muscle attaches to the vertebrae of the lower spine, moves through the pelvis and connects to a tendon at the top of the femur. It also attaches to the diaphragm, so it’s connected to your breathing, and upon it sits major organs. A properly functioning psoas muscle creates a neutral pelvic alignment, stabilizes the hips, supports the lower spine and abdomen, supports the organs in the pelvic and abdominal cavity and it is what gives you great mobility and core strength. When it functions well, it has the power to …. Put simply, this muscle is the core of activity in your body. So, when it's out of balance or if the psoas tightens, serious consequences can flow throughout the body. It may be the most harmless activity known to man, but can lead to a wide variety of issues. Weakness, shortening and tightness develops in the muscle from sitting for extended periods of time, contributing to poor sleep, posture and even stress and tension. 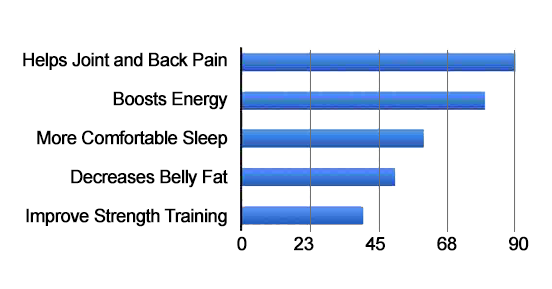 My clients sometimes wonder why their stomachs stick out, even though they’re hammering the core exercises every day. It's a common myth that bulging belly is due to weak abdominal muscles. 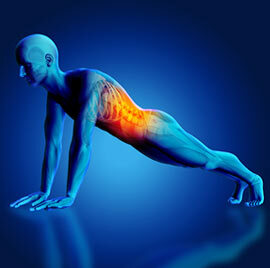 The real cause is likely to be tight psoas muscles, which cause the lower back to curve, pushing out the stomach. When the psoas works properly, it pulls the abdomen back, tucking the tummy in, adding to the appearance of a strong, flat stomach. 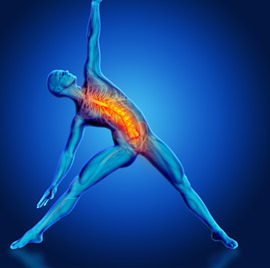 As the body's "fight or flight" muscle, your psoas is deeply connected to our natural survival instinct. It instantly tightens in moments of danger to either protect you (in a fetal position) or help you run, fueled by the release of adrenaline. However, with your psoas constantly tight, it’s as though you are in constant danger. 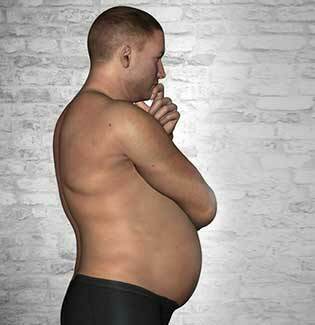 When your body is stressed, it often switches into fat storing mode in anticipation of danger. 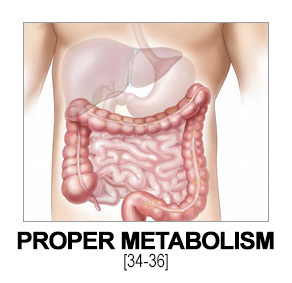 [34-36] So, if fat loss is an issue for you, tight hips might be to blame. 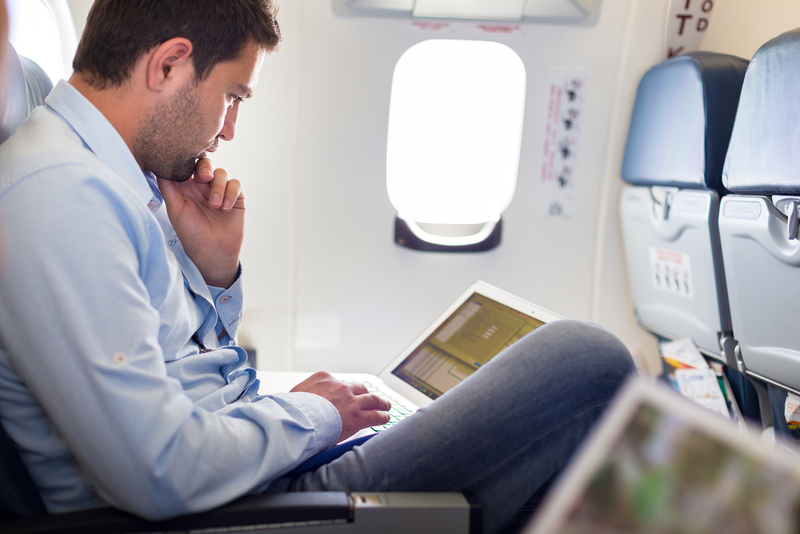 SITTING FOR LONG HOURS MAY LEAD TO HEALTH HAZARDS BECAUSE IT CAN TIGHTEN YOUR PSOAS MUSCLE. People who spend most of each day sitting, are at greater risk for tightening the psoas muscles, which then pulls the upper lumbar spine forward. As a result, the upper body misaligns and rests on the ischial tuberosity (sitting bones) rather than being properly distributed along the arch of the spine. But here’s the great news……. It takes more than a tennis ball and foam roller to unlock your hip flexors…and doing it wrong could cause damage. 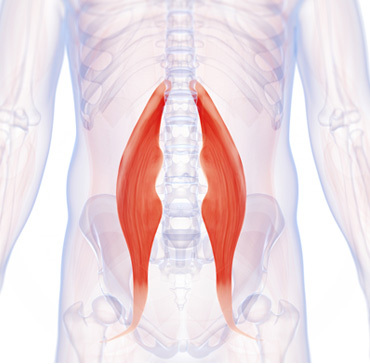 Your psoas is buried deep inside your core, making it tough to access. It's a hard muscle to find, let alone train. So it's little wonder why trying to loosen it requires more than a simple static hip flexor stretch. If you’ve found you're spending (or wasting) time stretching this way only to find it's having minimal effect, that is why. And, there are a number of specific movements beyond simple static stretching you can use to unlock and loosen your hips, legs and back. Due to all of our sitting and daily technology use, many of our muscles are not working properly. With this technique, we're targeting those muscles that are off and activating them in order to help the body move more efficiently. Slowly releasing one muscle before another to avoid injury and increasing hip tightness. 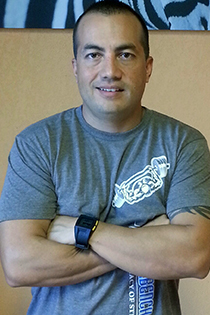 To explain in more detail about this flow, let me introduce you to leading Kinesiologist and Injury Specialist, Rick Kaselj, MS. In just 15 minutes working with Rick, he successfully unlocked her hip flexors so she no longer felt any pain or discomfort that day. She was able to walk without experiencing the nagging pain in her pelvic area. She could sleep better and could start enjoying those precious days with a little one at home. It’s not just about the exercises. THE POWER OF RICK'S TECHNIQUE LIES NOT ONLY IN WHAT TECHNIQUES ARE PERFORMED AND HOW WELL, BUT IN DOING THESE IN A CERTAIN SEQUENCE. In my experience, doing this specific sequence that Rick developed has worked better than any other sequence I’ve tried. Rick’s special set of sequential stretches has been designed to relax your muscles in the RIGHT order. And while many of the techniques were ones I already knew, I found that the right sequence can help loosen tissues including muscle, fascia, connective tissue, and the joint capsule, while aiding in breaking up scar tissue. 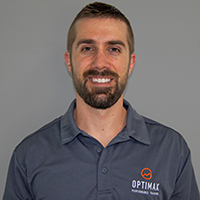 Rick has pulled together a "sequential flow" composed of 10 carefully selected exercises, including PNF Stretching, Static Stretching, Dynamic Stretching, 3-Dimensional Core Stability Exercises, Mobility Exercises, Fascia Stretching and Muscle Activation. You'll receive a highly targeted manual with greater depth about the psoas muscle and the effects of its tightening on your health and well-being. It also includes detailed descriptions of the exact exercise movements with pictures. Learning how to do this properly gives you the tools you need to start undoing some of the damage done to your psoas and start helping the body to naturally heal itself. But first a warning…this isn't for everyone. You have to be committed. 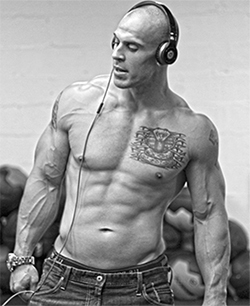 This is an easy to follow program that you can incorporate into your daily workout or routine. First and foremost, if the muscles of the hamstrings are tight, they are more susceptible to tearing. No matter if you're an elite athlete, stay-at-home-mom or average Joe, a muscle tear in the back of your legs can take months to heal and recover from, making life very challenging. In today's world, most people make a living from a seated position along with sitting in their car and while at home. All of that sitting over time increases tightness in the hamstrings. Having tight hamstrings causes the hips and pelvis to rotate back which flattens the lower back and causing lower back pain and poor posture. In a perfect world, everyone would get regular sports massage to help improve the muscle tissue quality of the hamstrings by increasing blood flow. Unfortunately for most of us, that isn't always possible. However, there is something all people can do by themselves which takes only minutes per day to help improve muscle condition and loosen up those tight hamstrings. 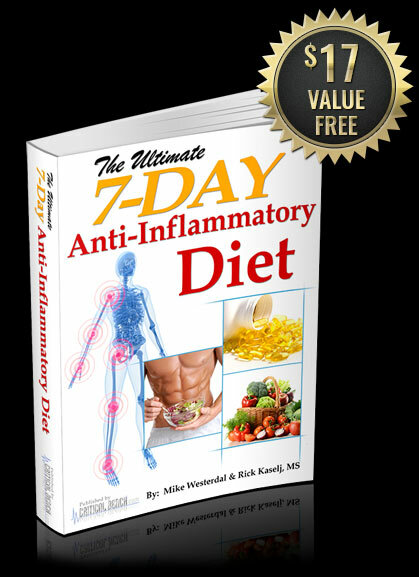 Your diet is one of the major causes of inflammatory responses leading to health deterioration. Now, you can help improve your body's response to inflammation by choosing the right foods that work with your body to stimulate its natural healing abilities. Why your hips are vital for maintaining correct posture and help promote peak performance. The true impact of your body's “Mighty Muscle” and how it really affects physical, emotional and spiritual well-being (you'll be amazed at how big an impact this can have on everyday life). How overall health can be compromised by tight hip flexors, and how to loosen them up to see faster fat loss and increased energy. The main causes for the psoas muscle to change structure, a major warning sign for your body (any change, however minimal, has an overwhelming impact that ripples across your body causing other muscle groups to compensate). Why we're just as likely to be affected by this problem if you're a balls-to-the-wall gym rat training 24/7 or a couch potato. Why tight hip flexors are exasperated if you have a desk job or drive a car for long periods of time. The reason intense core workouts could be doing more harm than good if you haven't loosened up your hips first. How trauma, injury and stress can build up within your posture and how it can ultimately affect your psychological state. Why relaxing your psoas muscle can help clear your mind, re-energize your thinking and relieve stress. What are you waiting for? 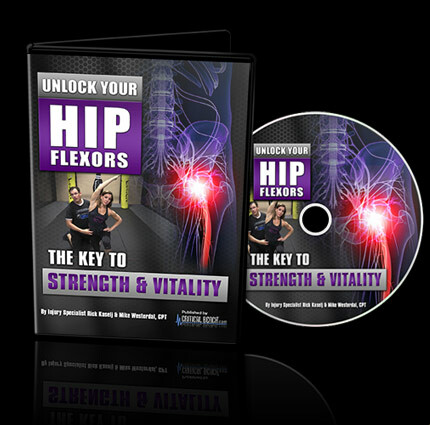 Now, you can finally Unlock Your Hip Flexors with this incredible, easy to follow DVD! 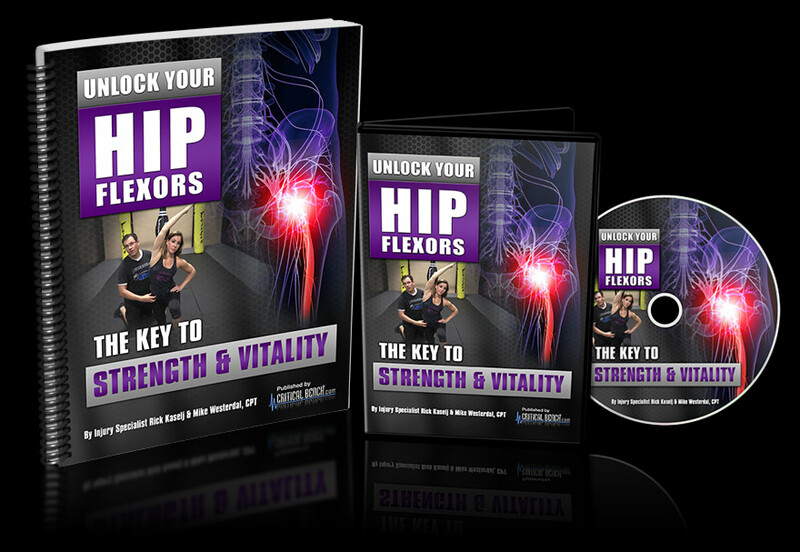 Get a digital copy of Unlock Your Hip Flexors and Bonuses available for instant download anywhere in the world. Download it to your computer, mobile, or tablet device for instant enjoyment! Physical Book Shipped + FREE BONUSES! Physical Book Shipped + Free Instant Access to the Digital Versions + FREE BONUSES! ...PLUS instantly download the digital versions and bonuses absolutely FREE! 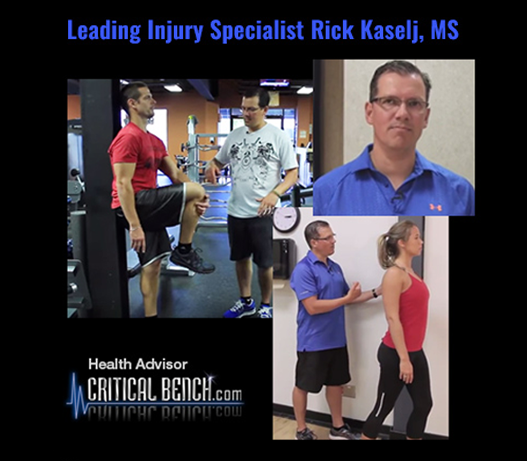 I was excited to hear about Rick Kaselj’s Unlock Your Hip Flexors program and have read the manual and watched the videos. I was very impressed with the content. 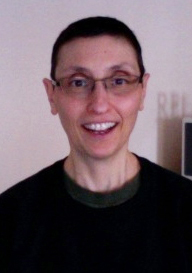 I implemented the concepts and program into my practice with my clients. 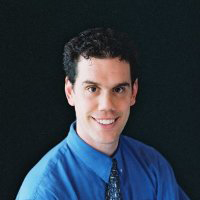 Rick has developed a comprehensive system to unlock your hips and restore movement the way it should be. Everyone could benefit from Unlock Your Hip Flexors. The two most important things to live a long healthy life are good quality whole foods and great movement, which requires great hip mobility. 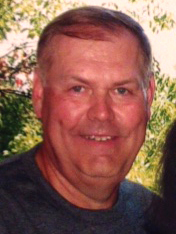 I cannot recommend this program enough." Because so many people sit for long hours each day, many suffer from tight hip flexors and can benefit from this powerful program. For the next 60 days, try using the simple techniques demonstrated by Rick either on your own or incorporated into your daily workout. It still stuns me to see so many people working hard in the gym and carrying on as normal. They struggle to understand why they still feel pain, why they're low on energy and why their body isn't responding. It comes back to their hips. But that doesn’t have to be a problem for you anymore. 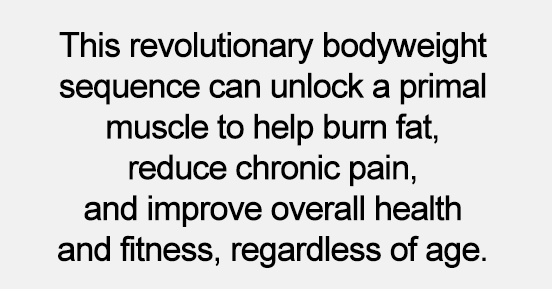 There is an effective and affordable solution that you can begin implementing as soon as today to relieve pain, increase your energy, and improve your strength and endurance – the Unlock Your Hip Flexors program. 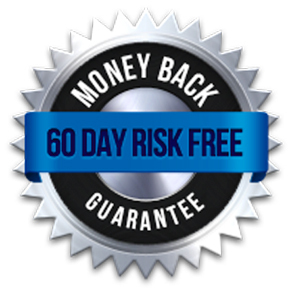 Purchase Unlock Your Hip Flexors today, and pay just $10 instead of the regular price of $20. Purchase Unlock Your Hip Flexors today, and pay just $20. You'll receive the manual, all Rick's detailed demonstrations and walk through videos plus the two powerful bonuses (valued at $48 alone). Throw out those pain killers – this is a NATURAL way to stave off pain in your back, legs and hips. Unlock Your Hip Flexors shows you how to deal with the CAUSE of your strength and flexibility problems, not the EFFECTS. If you've been struggling with nagging aches, pains and stiffness, loosening up your hip flexors has helped many like you return to living the full and active lives they deserve. You could read this and simply think to yourself "sounds good, but I can do this myself" or "I’ll come back to it later". But what happens in a few days’ time? In a week's time? In six months' time? Will you be feeling the damaging effects of tight hip flexors when you hit the gym, sit at your desk all day or try sleeping soundly at night? Instead, I want you to take the path followed by so many other satisfied guys who've invested in Unlock Your Hip Flexors. Many men are amazed at how quickly they loosen up their hip flexors while following my simple program. It becomes easily incorporated into their daily routine, and they no longer dread hitting the training floor, but actually look forward to working out with Rick’s groundbreaking system! The best part? 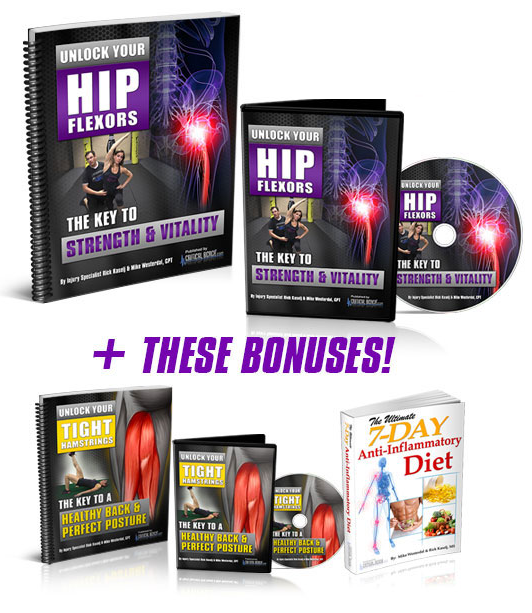 You can learn how to easily unlock your hip flexors no matter how “old” you are, the state of your health, or even if you’ve never worked out a day before in your life! Make the best choice for yourself. Hit the Buy Now button below and be ready to complete your card details on the following secure web page. Once all of your details have been completed and payment is made, hit Submit. 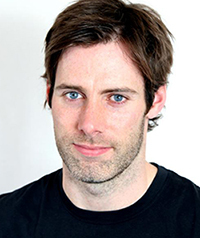 If you're struggling to break through a plateau with fat loss or trying to hit peak performance, now you’re finally able to help your progress by easily following Rick’s revolutionary program. 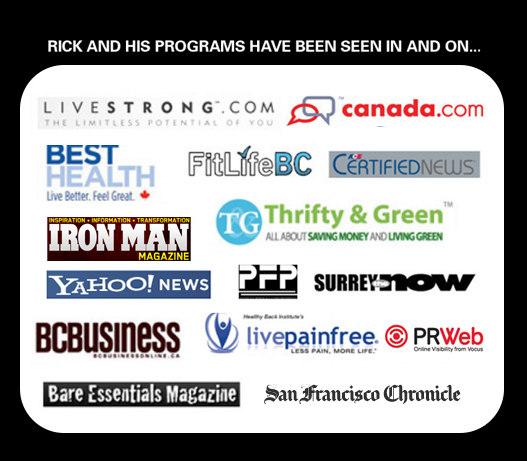 "With so many people suffering with Hip Pain out there, Rick's program "Unlock Your Hip Flexors" is a great tool for any fitness or health professional that wants to reduce pain, and improve strength, performance and overall health. 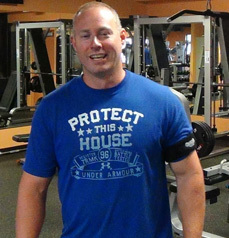 "As a gym owner and personal trainer, I'm always in search of the latest techniques and exercises to help my members and clients with strength and overall body function. Knowing how much people sit and unknowingly abuse their hips in everyday life makes Unlock Your Hip Flexors so worthwhile. "If you are an athlete that relies on explosiveness in your sport, then you must be aware of the #1 road block in your performance... tight hip flexors. In my experience tight hips, achy hips and poor squatting if not addressed will lead to more serious injuries and pain further down the line, which is why I whole heartedly recommend Rick’s Unlock Your Hip Flexors program. Get it!" Our aim is to make this available to as many people as possible, firstly to welcome more people to our CriticalBench.com audience and secondly because we're celebrating hitting a quarter million fans on Facebook. A: The answer to this is very individual. 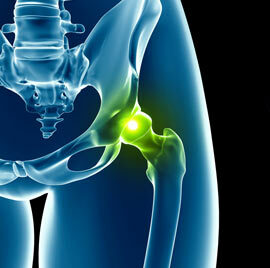 It depends on what type of hip replacement surgery you had and how you have recovered from the surgery. It is best to ask your surgeon or doctor to see which exercises of the sequential flow you should do or avoid. A: No. Once you watch the coaching videos they will be easy for you. There are also progressions to make the movements more challenging if needed. Bachrach RM. Team physician #3. The relationship of low back/pelvic somatic dysfunctions to dance injuries. Orthop Rev. 1988;17(10):1037-43. Ingber RS. Iliopsoas myofascial dysfunction: a treatable cause of "failed" low back syndrome. Arch Phys Med Rehabil. 1989;70(5):382-6. Nadler SF, Malanga GA, Bartoli LA, Feinberg JH, Prybicien M, Deprince M. Hip muscle imbalance and low back pain in athletes: influence of core strengthening. Med Sci Sports Exerc. 2002;34(1):9-16. Leinonen V, Kankaanpää M, Airaksinen O, Hänninen O. Back and hip extensor activities during trunk flexion/extension: effects of low back pain and rehabilitation. Arch Phys Med Rehabil. 2000;81(1):32-7. Jull GJV. Muscle and motor control in low back pain: Assessment and management. In: Twomey LT, Taylor JR, editors. Physical Therapy for the Low Back Clinics in Physical Therapy. Churchill Livingston; New York: 1987. Winters MV, Blake CG, Trost JS, Marcello-Brinker TB, Lowe L, Garber MB, Wainner RS. Passive versus active stretching of hip flexor muscles in subjects with limited hip extension: A randomized clinical trial. Phys Ther. 2004;84(9):800–807. Levine D, Colston MA, Whittle MW, Pharo EC, Marcellin-Little DJ. Sagittal Lumbar Spine Position During Standing, Walking, and Running at Various Gradients. Journal of Athletic Training. 2007;42(1):29-34. Enseki K, Harris-Hayes M, White DM, et al. Non-arthritic Hip Joint Pain: Clinical Practice Guidelines Linked to the International Classification of Functioning, Disability, and Health from the Orthopaedic Section of the American Physical Therapy Association. The Journal of orthopaedic and sports physical therapy. 2014;44(6):A1-32. doi:10.2519/jospt.2014.0302. Kerrigan DC, Xenopoulos-oddsson A, Sullivan MJ, Lelas JJ, Riley PO. Effect of a hip flexor-stretching program on gait in the elderly. Arch Phys Med Rehabil. 2003;84(1):1-6. Ammendolia C. Degenerative lumbar spinal stenosis and its imposters: three case studies. The Journal of the Canadian Chiropractic Association. 2014;58(3):312-319. Winters MV, Blake CG, Trost JS, et al. Passive versus active stretching of hip flexor muscles in subjects with limited hip extension: a randomized clinical trial. Phys Ther. 2004;84(9):800-7. Panarello SR. Symphysis pubis subluxation: pre and post partum chiropractic care. J Clinical Chiropr Ped. 2005;6(3):432–435. Eng JJ, Tang PF. Gait training strategies to optimize walking ability in people with stroke: A synthesis of the evidence. Expert review of neurotherapeutics. 2007;7(10):1417-1436. doi:10.1586/14737175.7.10.1417. King W, Kissel JT. 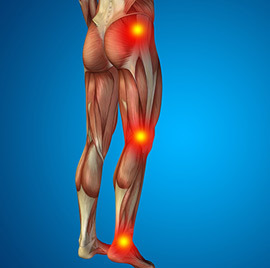 Multidisciplinary Approach to the Management of Myopathies. Continuum : Lifelong Learning in Neurology. 2013;19(6 Muscle Disease):1650-1673. doi:10.1212/01.CON.0000440664.34051.4d. Muir B. Exercise related transient abdominal pain: a case report and review of the literature. The Journal of the Canadian Chiropractic Association. 2009;53(4):251-260. Rebuffé-scrive M, Walsh UA, Mcewen B, Rodin J. 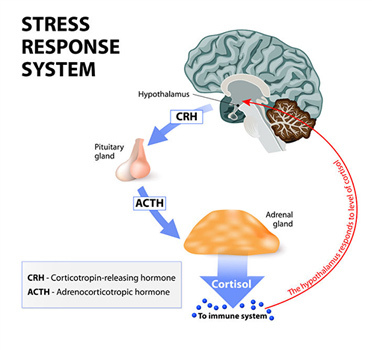 Effect of chronic stress and exogenous glucocorticoids on regional fat distribution and metabolism. Physiol Behav. 1992;52(3):583-90. Rosmond R. Role of stress in the pathogenesis of the metabolic syndrome. Psychoneuroendocrinology. 2005;30(1):1-10. Karatsoreos IN, Bhagat SM, Bowles NP, Weil ZM, Pfaff DW, Mcewen BS. Endocrine and physiological changes in response to chronic corticosterone: a potential model of the metabolic syndrome in mouse. Endocrinology. 2010;151 (5):2117-27. Pillet J, Chevalier JM, Rasomanana D, et al. The principal artery of the psoas major muscle. Surg Radiol Anat. 1989;11(1):33-6. 20. Edelstein J. Rehabilitating Psoas Tendonitis: A Case Report. HSS Journal. 2009;5(1):78-82. doi:10.1007/s11420-008-9097-0. Page P. Current Concepts In Muscle Stretching For Exercise And Rehabilitation. International Journal of Sports Physical Therapy. 2012;7 (1):109-119. Law RY, Harvey LA, Nicholas MK, Tonkin L, De sousa M, Finniss DG.Stretch exercises increase tolerance to stretch in patients with chronic musculoskeletal pain: a randomized controlled trial. Phys Ther. 2009;89 (10):1016-26. Lewit K, Simons DG. Myofascial pain: relief by post-isometric relaxation. Arch Phys Med Rehabil. 1984;65(8):452-6. Tyler TF, Fukunaga T, Gellert J. Rehabilitation Of Soft Tissue Injuries Of The Hip And Pelvis. International Journal of Sports Physical Therapy. 2014;9(6):785-797. Souza AC, Bentes CM, de Salles BF, et al. Influence of Inter-Set Stretching on Strength, Flexibility and Hormonal Adaptations. Journal of Human Kinetics. 2013;36:127-135. doi:10.2478/hukin-2013-0013. Thorborg K, Bandholm T, Zebis M, Andersen LL, Jensen J, Hölmich P. Large strengthening effect of a hip-flexor training programme: a randomized controlled trial. Knee Surg Sports Traumatol Arthrosc. 2016;24(7):2346-52. Apostolopoulos N, Metsios GS, Flouris AD, Koutedakis Y, Wyon MA. The relevance of stretch intensity and position—a systematic review. Frontiers in Psychology. 2015;6:1128. doi:10.3389/fpsyg.2015.01128. Voight ML, Robinson K, Gill L, Griffin K. Postoperative rehabilitation guidelines for hip arthroscopy in an active population. Sports Health. 2010;2(3):222-30. Mills M, Frank B, Goto S, et al. Effect Of Restricted Hip Flexor Muscle Length On Hip Extensor Muscle Activity And Lower Extremity Biomechanics in College-Ages Female Soccer Players. 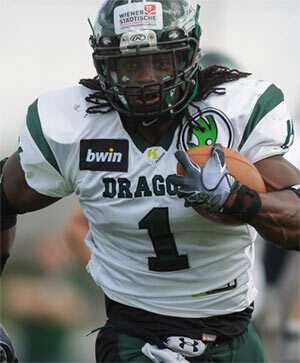 Int J Sports Phys Ther. 2015;10(7):946-54. Deane RS, Chow JW, Tillman MD, Fournier KA. Effects of hip flexor training on sprint, shuttle run, and vertical jump performance. J Strength Cond Res. 2005;19(3):615-21. Wakefield CB, Cottrell GT. Changes in hip flexor passive compliance do not account for improvement in vertical jump performance after hip flexor static stretching. J Strength Cond Res. 2015;29(6):1601-8. Young WB, Rath DA. Enhancing foot velocity in football kicking: the role of strength training. J Strength Cond Res. 2011;25(2):561-6. Sandell J, Palmgren PJ, Björndahl L. Effect of chiropractic treatment on hip extension ability and running velocity among young male running athletes. J Chiropr Med. 2008;7(2):39-47. Waryasz GR, Mcdermott AY. Patellofemoral pain syndrome (PFPS): a systematic review of anatomy and potential risk factors. Dyn Med. 2008;7:9. Last chance to get Unlock Your Hip Flexors at a discounted price! 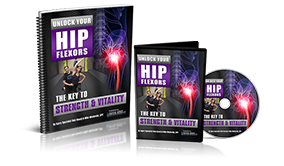 NOTE: – Unlock Your Hip Flexors Program is an instant access downloadable program that includes videos and manuals and/or physical DVD and manual. 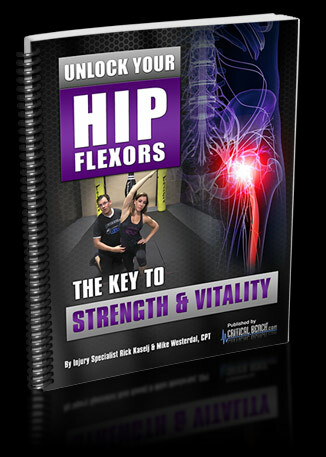 If you select and order the physical DVD and manual of Unlock Your Hip Flexors, they will be shipped to you in the mail. 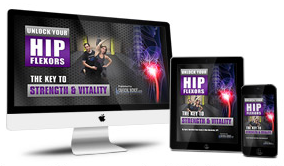 If you select digital access to Unlock Your Hip Flexors, you will get INSTANT ACCESS to download the videos and manuals. The ebooks are in the format of adobe acrobat PDF, which can be viewed on Mac or PC. The video format is M4V which can be viewed on Mac, PC, computer, tablet or smartphone. You can also select a physical and digital option where you get both.